Illiteracy in South Africa is a grave problem and we’ve tended to approach it with the solemnity it deserves. Each year, we hold up the grim results of the national assessment of literacy in schools and design serious plans to improve them. We stack the curriculum primly with words and phonics, all in the correct order and printed on worksheets. All well and good, but where are the stories? 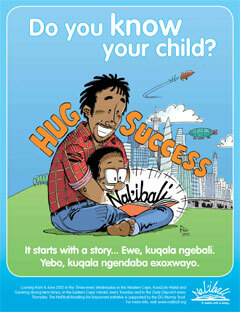 Early childhood development (ECD) centres, Grade R facilities and schools should be awash with storybooks. But many are not. 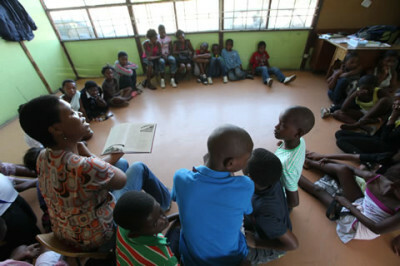 A 2008 study of ECD facilities in three provinces found that 20% of registered centres and 40% of unregistered facilities had no storybooks, nor even paper to write on. In schools, many provinces make provision for only one storybook per child per year; the rest are textbooks and basic readers. And no, ‘See Spot Run’ is not a story. Children should be wide-eyed, hair blown back, their fancy tickled by their first experience of schoolbooks. The classroom should be filled with chatter and laughter as they share stories with one another – because that’s how they build the circuits of their brains that link language, memory, emotion and concepts. That’s how they play with language and their imagination to solve problems and think differently. It’s how thought-processes become sophisticated. From 2012, DGMT will supporting what we hope will become a long term, national reading-for-enjoyment initiative. 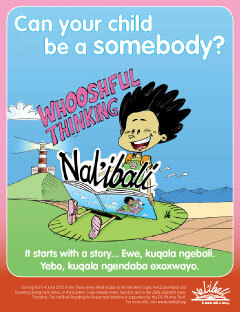 The initiative is called Nal’ibali, which means ‘here is the story’ in isiXhosa, and it is intended to help create and begin to sustain conditions that get passionate readers sharing stories and reading with children. Collaborate with university and community-based partners to research ways to promote literacy development through reading clubs. 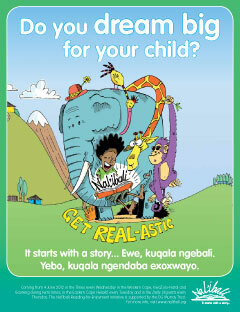 Avusa Media will support Nal’ibali’s aim to direct national public attention to the enormous benefits of sharing stories and books with babies, toddlers and children of all ages and how to do this. Through print and connections with other media such as TV and radio the campaign will be publicised to help drive demand for participation in the Nal’ibali Network’s activities. The media campaign will help to provide regular reading opportunities through support for and publicity of activities and through weekly inserts for children into newspapers. It will also help to increase understanding of the value of reading for society as a whole. Here are the first promotional posters for the campaign as well as the rationale for the media campaign (click to view). For more information visit www.nalibali.org or email info@nalibali.org.